The Elite Work Station combines a work surface with a lower storage shelf and 2 high level shelves. It’s ideal for greenhouse jobs like potting up and filling seed trays. 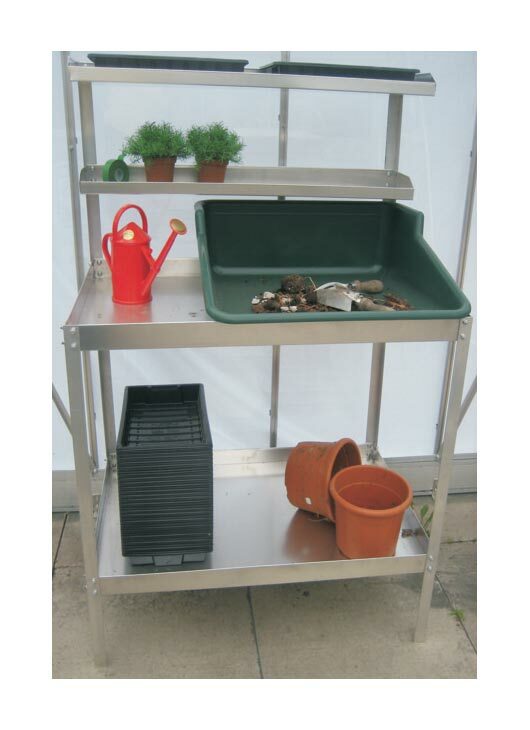 This hard wearing plastic potting tidy makes potting jobs more organised and less messy.